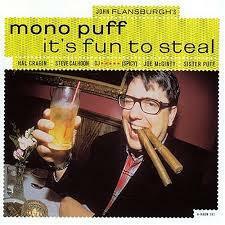 Flansburgh’s Mono Puff gets deeper into the groove on this more electronically-driven song set. Bass virtuoso Hal Cragin shines on the electric bass and Phil Hernandez of the Elegant Too delivers unexpected audio manipulations. Features Backstabbing Liar, It's Fun to Steal and Creepy.